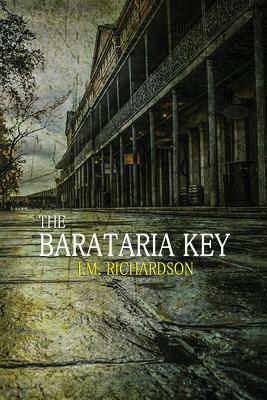 Well Barataria Key is the second novel in this series but having read both novels I would say each could be read as stand alone books, but don’t short change yourself and splash out on both as they make cracking entertainment. James Beauregard is ready for another unexpected outing in a story that literally unfolds before him and he is thrown into solving a mystery from the past that has been on slow burn, with a secret society always waiting in the wings for the right opportunity to fulfil their destinies and change history. After the discovery of a letter from the past hidden under a statue causes quite a buzz amongst a group of professors the hunt is soon on for a relic that has little known about its value. The only emphasis being on not letting it fall into the wrong hands. The only thing is which wrong hands is the letter meaning and what consequences can come from it? Is everything they discover myth or something to be feared? As more of the story unfolds it becomes a matter of life and death for some of the group of would be super sleuths and the pace of the whole story just escalates. When the would be members of the secret society make it very up close and personal then a decision has to be made. Which has more value to James Beauregard, where will his loyalties lay and is the present worth fighting for? This is the start of a cracking series, a little bit of history, a little bit of myth and a lot of imagination that makes a brilliant fast paced adventure with an unlikely but entertaining main character that I warm to more and more. So looking forward to the next book in the series. J. M. Richardson was raised in the small town of Franklinton in southeastern Louisiana. His upbringing was one of close-knit family and community. He attended Bowling Green School, a small K-12 private school. In his early years, Richardson nurtured an interest in the arts, history, geography, writing poetry, writing competitively, and developing talents in vocals, guitar, and musical arrangement. In 1998, he graduated from high school and enrolled in Louisiana State University, where he began course work toward a degree in secondary education with a concentration in social studies. He joined the Pi Kappa Alpha Fraternity and took many courses in composition, history, sociology, and other forms of social sciences before graduating in 2003. Sounds fab! I love books that take place in New Orleans. Great review. Hi it is a great book the first one is set in New Orleans too. Mystery and history? New Orleans? Sounds amazing!